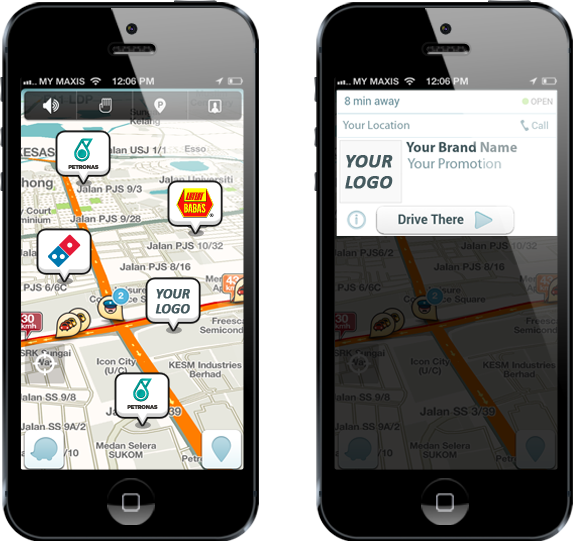 Wazers – people who uses Waze while driving – normally looks for a specific destination and never a specific product; that’s where the beauty lies. We could jump on them, surprise them, let them get caught in the moment – who knows, they just might be hooked. Fact 1: People commute every day. Fact 2: People get lost every day. That’s where Waze comes in to help these people and that’s where we come in to help you. We’ll get your brand advertised on the digital billboard that is Waze; a thing we guarantee will work.